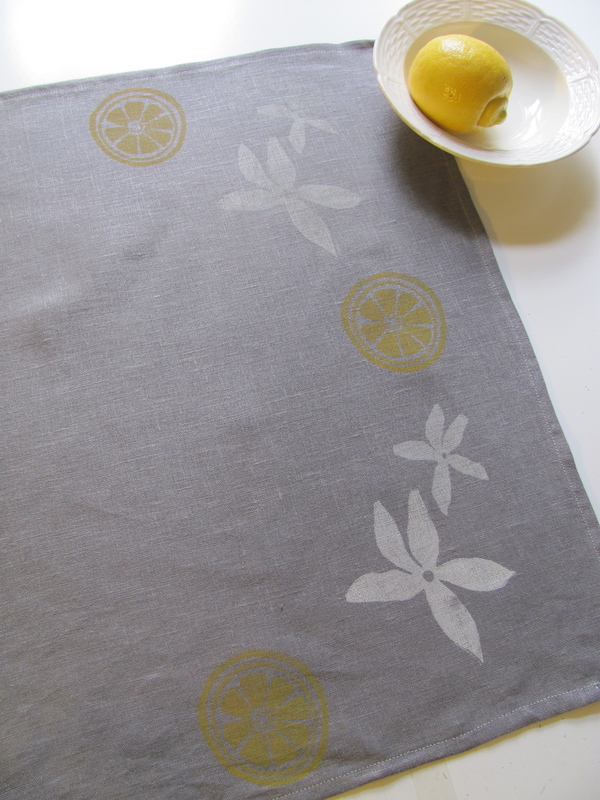 Brighten up your kitchen or home with this lovely 1005 linen tea towel that is handprinted with with a pattern of fresh lemon slices and white lemon blossoms! 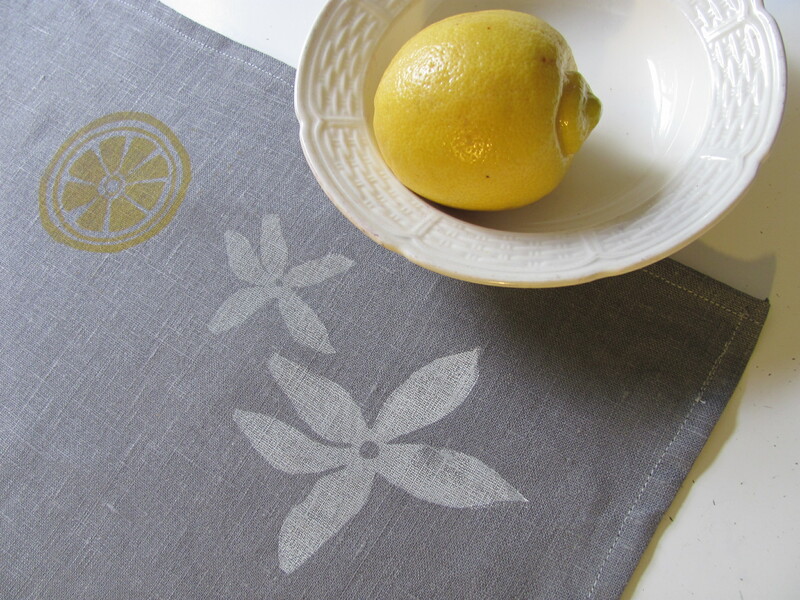 Towel is made from a beautiful dark gray linen and is handprinted from two linoleum blocks. 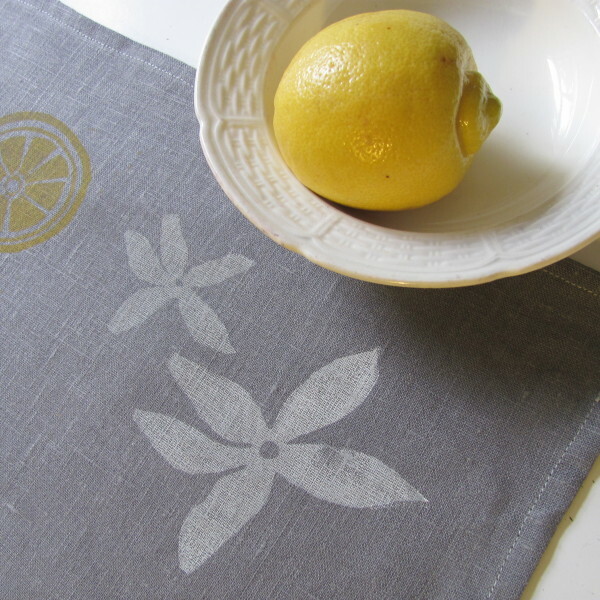 Linen is a great fabric and is known for its durability and soft feel. 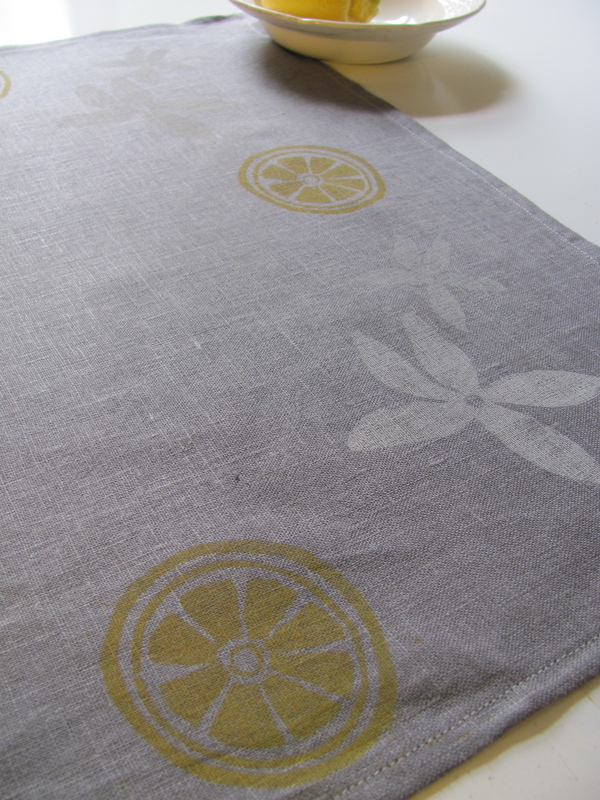 All prints have heat-set for permanency and are meant to be washed and re-used. 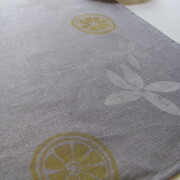 *Wash on your machines’ cold cycle and dry on low/delicate heat. 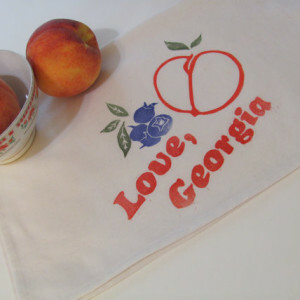 Category: Tea Towels. 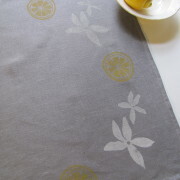 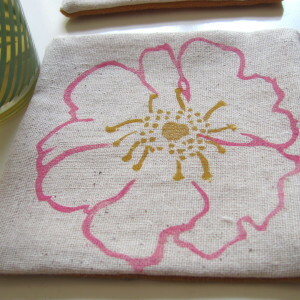 Tags: block printed, citrus, dark grey, dining decor, flowering fruit, fruit print, handprinted, kitchen decor, lemon blossom, lemons, linen, linen towel.